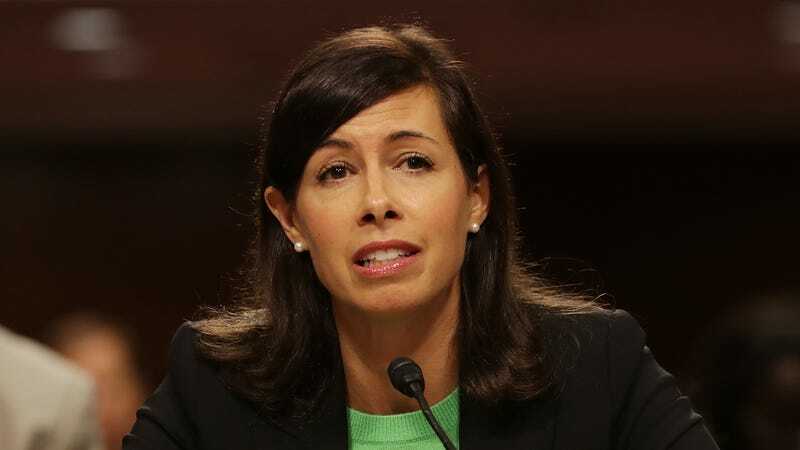 FCC Commissioner Jessica Rosenworcel on Friday accused her agency of withholding evidence of fraud, further intensifying the ongoing battle over the future of net neutrality. Rosenworcel’s heated comments come in response to a clash between the Federal Communications Commission and New York Attorney General Eric Schneiderman over his office’s investigation into fraudulent comments submitted to the FCC regarding agency Chairman Ajit Pai’s plan to dismantle federal net neutrality rules. On Thursday, Thomas Johnson, the FCC’s general counsel, sent a letter to Schneiderman. In it, he writes that the FCC has no intention of complying with requests for information that Schneiderman contends is critical to uncovering who sent the fake comments, which may have used the names and addresses of millions of American citizens without their consent. Under the Administrative Procedures Act, federal agencies are required to solicit and consider relevant comments from the public whenever issuing what’s called a Notice of Proposed Rulemaking (NPRM). Pai’s NPRM would reverse rules passed in 2015 that reclassified internet service providers like Verizon and AT&T as “common carriers” under Title II of the Communications Act, putting them under the same regulatory classification as utility companies. Under the rules that Chairman Pai and his fellow Republican commissioners intend to dismantle, ISPs are forbidden from introducing new pricing models that would charge customers different prices to access different kinds of online services. It further prevents them from blocking access or slowing down traffic to certain websites or online services while speeding up access to others. The FCC will vote on Pai’s proposal on December 14th. It is almost certain to pass given the commission’s Republican majority. Johnson’s letter touts the “unprecedented amount of public participation and transparency” in the FCC’s rulemaking process this year; he also says the FCC is refusing to turn over any technical information that might hint at the identities of those responsible for flooding the agency’s public comment system with stolen names and addresses. It attacks the New York Attorney General’s Office over what Johnson claims is a lack of jurisdiction and dismisses the notion that the FCC should confirm the identities of anyone who uses the system. It’s true, the number of comments for or against any proposed rule in no way influences the FCC’s decision. Only substantive comments are reviewed by the agency—voluminous papers submitted by authorities on the rules from academia to industry. Given Chairman Pai’s blanket dismissal of concerns over his plan, the only opinions he seemed interested in hearing this year came from the corporations that stand to profit most by his decision. Schneiderman’s press secretary, Amy Spitalnick, went further, accusing Pai and his team of obstructing a law enforcement investigation.